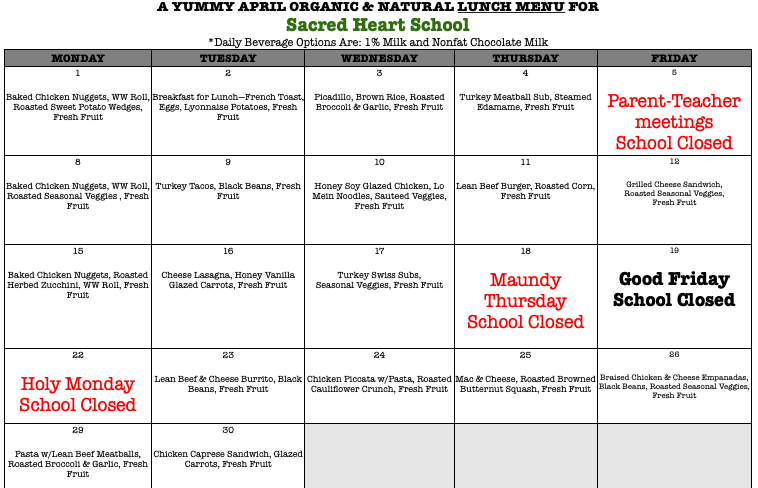 Organic Lunch Menu "Yummy In My Tummy"
The nutrition teaching does not stop in our Health & Physical Education classes. In a world of unhealthy foods, SHS has made the commitment to serve its students with the proper amount of nutrients each day! Our students are provided with an organic breakfast and lunch - everyday! Yummy In My Tummy not only provides us with breakfast and lunch but also an after school snack for our aftercare students. Below you will find our lunch menu!